Jeffrey Welch's Blog: Vote for Senior Dog Haven Muttville in CNN Heroes Contest! At Dogster, we are huge fans of senior pups, and it breaks our hearts knowing they are often passed over for younger dogs, and wind up spending their twilight years languishing at shelters. This is why organizations like Muttville Senior Dog Rescue are so important. Muttville takes in older dogs shelters might deem unadoptable and gives them a second chance at a forever home. “Unadoptable” is far from what these sweeties are. 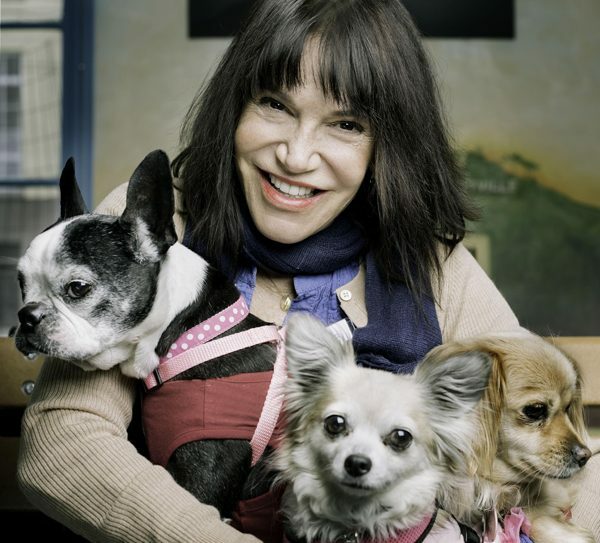 Team Dogster visited with Muttville a few years back, and we have fond memories of sitting on a sofa in Muttville founder Sherri Franklin’s home. Our laps were never empty. The senior pups we met were so starved for love, attention, and endless petting. It was obvious that they had so much left in them; so much love to lavish on their people-to-be. Since then, Muttville managed to raise the funds to move the organization out of Franklin’s living room and into a facility of its own. But they never rest on their laurels and are always looking for more they can do for seniors. If Muttville moved you, there’s something you can do for them: CNN is looking to narrow the 10 honorees down to just one top hero for the year. You can help Muttville earn this honor by voting here up to 10 times a day. The winner will get $100,000 toward their cause on top of some incredible exposure. That buys a lot of kibble. Dogster: How did you get into this meaningful work? Was there a special senior dog who started it all? Sherri Franklin: I saw so many. I was a longtime shelter volunteer, and I saw that it was routine at shelters to assume older dogs were just unadoptable — simply because of their age! I would watch these wonderful dogs sit in cages while the light and hope slowly left their eyes. And then they’d be euthanized. I knew I needed to do something for them. There was one dog, though, I’ll always remember. His name was Knight. He was a big, black Lab who lived his whole life in a puppy mill, caged, never given any attention — never, it seemed, even let out of his cage. He was broken and beat. And now he was being thrown away. I brought him home, and at first he wouldn’t even come out from under the bed. But slowly he relaxed, peeked out of his hiding place, started to walk around, started to let people approach him, started to venture outside. And then he found a wonderful home and just blossomed. Seeing him come to life and learn to be a dog again brought me such joy. I realized I could make a huge difference in the lives of these dogs. What do you wish more people knew about senior dogs? Senior dogs have so much to give! They are super easy, grateful, and wonderful companions. So many people tell me their Muttville dog is the best dog they’ve ever had. And they have so many lessons to teach us about second chances and living in the moment. And when you adopt a Muttville senior, you are saving a life. That’s important for many of our adopters— knowing that they are saving a life. Saving two, really — the life of the dog they take home, as well as the life of another animal who was rescued because there was a spot in the shelter. Muttville’s gotten some great press attention over the years. (I remember the Muttville Oprah car!) Have these little bits of press done a lot to get more help for senior pups? Oh, absolutely! The more people see our dogs, the more they realize how great they are! They’re our best ambassadors! And our success has helped shelters change their thinking about the seniors they take in. They no longer assume they’re unadoptable — they put them out on the adoption floor. And many shelters tell me that people are now coming in LOOKING for senior dogs! What is your dream for Muttville’s future? Of course my ultimate dream is that Muttville is no longer needed — that companion animals all live long and healthy lives in comfortable homes! But until that happens, my dream is to have a permanent facility for Muttville, a forever home for our work, a place where other organizations and people can come and learn how they can implement our programs, work with seniors, and save more lives! How can anyone reading this post help? SF: Spread the word: Senior dogs rock! Vote for CNN Hero of the year, donate, volunteer, foster, and most of all, ADOPT a senior dog! See CNN’s feature on Muttville here. The post Vote for Senior Dog Haven Muttville in CNN Heroes Contest! appeared first on Dogster.